Old Testament passages dealing with slavery, the status of women, and the destruction of peoples such as the Canaanites and Amalekites have seemed morally problematic to both Christians and non-Christians. These passages, among others, are difficult because they portray God as seemingly condoning and even commanding actions that are, at least on the face of it, immoral. They are thought to be inconsistent or at least in tension with the claim that God is omnibenevolent and morally perfect. A variety of responses have been given with respect to such morally problematic passages. One response, the Concessionary Morality Response (CMR), includes the claim that portions of biblical morality are concessionary insofar as they (i) fall short of God’s ideal morality for human beings; and (ii) are instances of God making allowances for the hardness of human hearts and its consequences in human cultures. 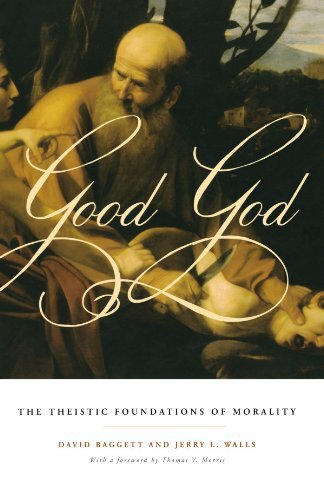 My purpose in this essay is to consider the plausibility of the Concessionary Morality Response as a biblical and philosophical component of a defense of God’s perfect moral character. First, however, consider something which C.S. Lewis once said about the doctrine of hell. In his book The Problem of Pain, Lewis says that "There is no doctrine which I would more willingly remove from Christianity than this, if it lay in my power.” I find myself in a similar position with respect to some of the passages at issue in this essay. I would prefer that they not be in the Bible, because as Alvin Plantinga observes, these passages “can constitute a perplexity” for followers of Christ. Moreover, if I came across such passages within the sacred writings of another religion, this would at least initially be a reason for me to reject the claims of that religion. Nevertheless, these passages are present in the Scriptures, and as morally and intellectually responsible followers of Christ we need to deal with them as best we can. ….how bad is the moral and spiritual corruption, blasphemy, infant sacrifice, temple prostitution and the like attributed to the Canaanites? Maybe it is worse, even much worse, than we think. (Earlier Christians may have been closer to the truth than we are presently inclined to think.) If so, perhaps God’s sentence upon these people is perfectly just. What about the infants and children? Perhaps, as William Craig says, they are spared a life of degradation and sin. Furthermore, Christians, of course, believe that our earthly career is a mere infinitesimal initial segment of our whole life; perhaps the suffering of these children is recompensed a thousand fold. Some of the other explanations of these passages include the view that they fail to accurately report God’s commands, that the passages include metaphoric and hyperbolic language, or that they are to be read in some allegorical manner. Though I am open to some of these options, I want to set them aside and focus on one particular response, the Concessionary Morality Response. As I stated above, CMR includes the claim that portions of biblical morality are concessionary insofar as they (i) fall short of God’s ideal morality for human beings; and (ii) are instances of God making allowances for the hardness of human hearts and its consequences in human cultures. But what is a moral concession, in this context? In what follows, I will define a divine moral concession as “God allowing, commanding, or performing actions which he would prefer not to allow, command, or perform, all things being equal.” My focus is on actions God performs and commands, rather than what he allows. I want to bracket discussion of the more general problems associated with the existence of evil and focus on the actions and commands of God, rather than human beings. CMR is one aspect of a defense of the view that Yahweh is morally perfect, in spite of the tension this produces when considered alongside the passages at issue. CMR is sometimes discussed as including the assumption that humanity has made moral progress over the millennia, and that the reason certain perplexities appear in the Old Testament is that the Ancient Near East was especially inhumane and corrupt. I have no objection to offer here, but I am somewhat skeptical about sweeping claims concerning human moral progress. It is more accurate to say that we have progressed in some ways, and regressed in others. With this qualification in mind, I now turn to the biblical basis of CMR. This is a clear example of God allowing an action because of the hardness of human hearts, even though the action (divorce, in this case) falls short of his perfect moral standard. It is important to note that God is not merely allowing us to misuse our freedom of the will, but he is also making a moral concession in the divine law because of the hardness of human hearts in his instructions to Israel through Moses. God morally concedes but does so for our good, given our character and choices at any particular moment in history and within a particular culture. In the case of divorce, the concession was for the sake of the woman’s welfare, so that she could avoid poverty and shame which would have been the likely result of divorce in the Ancient Near East. In each of these instances—and others in the Sermon—we see a pattern in which Jesus states “You have heard it said that…but I tell you….” The law says x, but Jesus says go beyond x in ways that require a deep inner moral and spiritual transformation. It is generally not too difficult to avoid murdering others, but it is relatively much more difficult to refrain from being angry with one’s brother. The salient point is that there is a progression in the standards of God for human beings as his character and moral standards are more fully revealed over time. And if there is a progression of moral standards from time t1 to time t2, then it follows that at t1 God is making a moral concession to human beings. There is much more to say with respect to the Bible and these issues, but I will assume in what follows that there is a sound Biblical basis for the claim that our omnibenevolent God can and does make moral concessions as He relates to human beings. (1) God is morally perfect. (2) God commanded the Israelites to destroy the Amalekite and Canaanite men, women, children, and livestock. (3) God makes moral concessions due to the hardness of human hearts and corrupt nature of human culture. (4) Moral perfection does not entail immediate benevolence. (1)-(4) are logically consistent propositions. Before continuing, it is also important to clarify what it is for God to be morally perfect. It means that God has no moral defects. However, given that God is very different from us, and stands in different relations to the created order than we do, what would be a moral defect in or an immoral act performed by a human is not necessarily a moral defect in or immoral act if performed by God. The similarities and differences between God and human beings must be taken into account when morally evaluating particular traits or actions. There are some analogous examples which lend support to the claim that (1) and (3) are consistent (i.e. God’s moral perfection is not compromised by divine moral concessions). Such concessions need not compromise moral character, and in fact can be taken as evidence for the goodness of the moral conceder. Consider the clearly relevant case of a good parent. The rational and moral capacities of one’s child are very different at the ages of 5, 15, and 25. For example, imagine a parent who catches her 5 year old in a lie. It seems that there is a range of appropriate responses. I can imagine circumstances in which the parent might simply ignore this, or only make a minor comment about it in passing. Perhaps the child is having a very rough day emotionally—maybe it was her first day of kindergarten—or she is sick, or she was just disciplined for doing something else that was wrong and further correction would, at the moment, exasperate her (Eph. 6:4). A parent who does this, and who intentionally correlates her parenting with the capacities of her child is no less good, and is in fact better, for so doing. It is both wiser and morally better to concede and work patiently with the child at her developmental stage, than to fully implement all of the relevant moral and religious values in the life of her child without sensitivity to character, context, and other relevant considerations. By parity of reasoning, then, God is no less good by doing the same thing in connection with Israel and other nations. Another example related to parenthood has to do with bullying in high school. I heard a speaker share about his son who was being bullied during school by another student. The administration and faculty were not addressing the issue, leaving the child vulnerable to harm. The father met with the son, the principal, and teacher, and said this to his son in their presence, “The next time he pushes you, I want you to hit him.” All else being equal, this is not the type of thing a good parent will tell his child. But when certain circumstances obtain, he may have to do so for the sake of some greater good—such as the physical safety of that child. In order to realize this good, the parent believed that he had to tell his child to do something in self-defense that in most circumstances he would not permit him to do. The upshot is that God may have to command his children to do certain things that he would prefer not to have to command them to do, and in ordinary circumstances would not permit them to do, but does so because certain mitigating circumstances obtain. To anticipate the Enemy's strategy, we must consider His aims. The Enemy wants to bring the man to a state of mind in which he could design the best cathedral in the world, and know it to be the best, and rejoice in the fact, without being any more (or less) or otherwise glad at having done it than he would be if it had been done by another. The Enemy wants him, in the end, to be so free from any bias in his own favour that he can rejoice in his own talents as frankly and gratefully as in his neighbour's talents—or in a sunrise, an elephant, or a waterfall. This is one of the recognizable aspects of true humility. God could command us to have such a character at this very moment, and hold us accountable for our failure to do so. But he does not do this, because he knows that to become this type of person requires that we go through certain steps of moral and spiritual growth. To get to this point of moral and spiritual development one would first need to root out the anger and other emotions and beliefs that are barriers to this. God is willing to work with us in the process of spiritual formation. This requires divine patience and divine moral concessions. There is a higher standard which God desires that we achieve but in his moral perfection he is willing to allow for the incremental process that such change in human beings requires. Moreover, there is surely much more to morality and God’s moral nature which God does not burden us with at present, given who and what we are as well as the point we are at in history. God is still conceding, it seems to me, and for this we should be grateful. In fact, the general point that God engages in moral concessions for our good also reveals the moral goodness of his character. Consider the divine virtues on display as God does this: patience, love, forgiveness, graciousness, longsuffering, and enduring commitment. God will not abandon his children, even if this means that he must make moral concessions, because the ultimate result is their inclusion in a loving community of human persons and the members of the Trinity in the new heavens and the new earth. That this greater good is perhaps the overriding consideration in play is the focus of the next section. One feature these examples share is the notion that the existence of some greater good justifies the divine moral concession. I would like to suggest that the greater good which justifies, at least in part, the passages at issue in this essay is the redemption of all things, including what Aquinas referred to as the beatific vision. There is some biblical precedent for this argument. The purpose of Yahweh in another morally problematic OT episode—the sending of the plagues upon Egypt—was a redemptive purpose: “so you may know that I am the Lord...” (see Exodus 7:5, 17; 8:10; 9:14; 10:2; 14:4). Yet Pharaoh, as was and is true of many people, was not permanently effected by God’s mercy. Often the works of God that are intended to soften the heart of humanity have the opposite effect, depending on the condition of the heart and the free response of human beings. This same redemptive purpose is at work in other morally difficult passages of the Bible. William Bruce has something like this in mind when he considers the morality of God’s wiping out of the Canaanite nation through Israel. Bruce argues that God was presented with a dilemma, in which the choice was between two evils. God could have spared the Canaanites, in which case they would have influenced Israel towards moral and religious corruption to the point at which Israel would no longer be fit as an instrument of God’s revelation to humankind. The other option, the one which God chose, was to end the existence of these Canaanites. Note, I am not saying what follows is true, only that it is one possible response worth considering as we think through these issues. While Bruce states that “it is to be said with all reverence that there was here but a choice of two evils”, I must take issue with his point. I would prefer not to characterize this as a choice between two evils, as it is a mistake to ascribe evil to God. I think Bruce is merely a bit careless in his terminology, as he states later that “evil can never be attributed to (God).” Still there is something important to consider here. God certainly did not find it pleasing to wipe out the Canaanites, anymore than a morally admirable human judge or jury finds it pleasing to sentence a convicted criminal to death. However, there is still a sense that justice is accomplished, and a sense that we have protected society from future criminal acts by sentencing the criminal to death. Similarly, God is protecting the world and ensuring that his plan of redemption is fulfilled by sentencing the Canaanites to death. It is not a pleasant thing, but neither is it evil. God is doing what He must in response to the free response of human beings to Him. 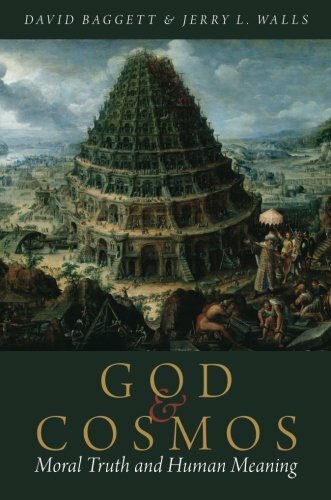 While some claim that God’s order to exterminate Canaan shows him to be a nationalistic God who shows favoritism, Bruce argues that God, as the moral governor of the earth, must take care of all the peoples of the earth. In this case that made it morally acceptable for him to order the Israelites to destroy the Canaanites. Yahweh had the interests of Israel and the rest of the nations of the earth in mind, and acted to prevent the further spread of this influential and morally corrupt culture. Perhaps God was faced with a choice between two different moral concessions, and chose the one which was the least concessionary. This illustrates (4), insofar as a particular action performed by morally perfect being could be justified by long-term considerations. That is, long-term benevolence may necessitate actions which in isolation appear to be non-benevolent or even malevolent. One way of understanding these issues from the perspective of normative ethical theory is through the lens of pluralistic deontology. On this moral theory, there is an objective fact of the matter with respect to our moral duties. These duties are prima facie duties. A prima facie duty is objectively true and exceptionless, but it may be overridden by a weightier duty in a particular circumstance, such as lying to save the life of an innocent person. Given that God relates to human beings in a fallen world, there will be times at which two or more prima facie duties come into conflict. When this occurs, the morally proper action is the one that is in accord with the weightier moral principle (or principles). Perhaps this is the best way to understand God’s actions at issue in (2). If we combine this understanding of moral duty with graded absolutism, we gain a way of understanding how God can be morally perfect and yet order the destruction of the Amalekites and Canaanites. Perhaps God’s actions are necessitated by beneficence (improving the lives of some people with respect to virtue, intelligence, or pleasure) and fidelity (keeping promises) at the expense of non-maleficence (not harming others). Non-maleficence remains relevant as an exempted moral principle which makes its presence felt in the situation, but it is overridden by the other two moral duties. In such a situation, it seems that God’s moral perfection is preserved. Recall that a divine moral concession is “God allowing, performing, or commanding actions which he would prefer not to allow, perform, or command, all things being equal.” But in our world, things are often not equal. For example, a good parent would never allow someone to kill his son, when it was in his power to stop it. This seems true, on the surface. However, when we fill in the details, we can see that there are counterexamples to this claim. What if allowing his son to be killed saves millions from death? If there is merit to some of the above points with respect to God’s redemptive motivations in his dealings with the Canaanites and others, then the redemption of humanity and the rest of creation could at least be part of the reason for these events. Given that, it is at least plausible to hold that God’s moral perfection is consistent with the passages at issue. To be in relationship with us seems to entail that God must make certain moral concessions. These concessions show respect for persons, grace, forgiveness, and other morally praiseworthy traits. The divine moral concessions present in the perplexing passages at issue in this essay are perhaps a necessary means for the ultimate redemption of human beings who live in communion with one another and God. In this state, human beings attain what Aquinas refers to as the beatific vision: an intellectual vision of God which also engages the upright will and constitutes our ultimate happiness. This, I suggest, is what may ultimately justify the divine moral concessions found in the Bible. Image: "Adam, Noah, Moses" by W. Andersen. CC License. This essay was inspired in part by the conference “My Ways are not Your Ways: The Character of the God of the Hebrew Bible,” available via streaming video at http://www.nd.edu/~cprelig/conferences/video/my_ways/. Paul Copan, “Is Yahweh a Moral Monster?” Philosophia Christi, 2 (2008): 7-37. See 1 Samuel 15 and Deuteronomy 20. Peter van Inwagen, The Problem of Evil (New York: Oxford University Press, 2006), p. 27. C.S. Lewis, The Screwtape Letters, rev. ed. (New York: Macmillan, 1982), p. 64. The Enemy in this passage is God, as the speaker is the demon Screwtape. Walter Kaiser, Toward Old Testament Ethics (Grand Rapids, MI: Zondervan, 1983), p. 256. William S. Bruce, The Ethics of the Old Testament (Edinburgh: T. & T. Clark, 1895), p. 263. W.D. Ross, The Right and the Good (Oxford: Oxford University Press, 1930; Hackett Reprint). J.P. Moreland and William Lane Craig, Philosophical Foundations for a Christian Worldview (Downers Grove: InterVarsity Press, 2003), p. 453. This would not be the case if the claim was these passages constitute moral exceptions. Rebecca Konyndyk DeYoung, et. al. Aquinas’s Ethics (Notre Dame: University of Notre Dame Press, 2009), pp. 75-76. This is in fact consistent with the justification given in Dt. When the Lord your God has delivered them over to you and you have defeated them, then you must destroy them totally. Make no treaty with them and show them no mercy. Do not intermarry with them. Do not give your daughters to their sons or take their daughters for your sons, for they will turn your sons away from following me to serve other gods. . . This is what you are to do to them: Break down their altars, smash their sacred stones, cut down their Asherah poles and burn their idols in the fire.